In order to talk about motion control, it would perhaps be necessary to devote some time to the element that converts the electrical energy into mechanical. 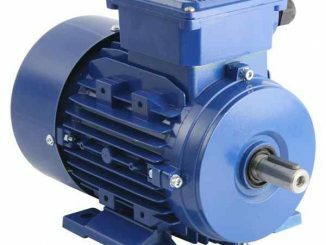 We are surrounded by electric motors: the small motor that spins a hard disk, the Kelvin motor that moves the elevator, the toothbrush, the pump station, in factories, in training, in hospitals. About 70% of the electrical energy is used to power motors we are surrounded! By its construction, its application and its technology there are a lot of different engines and not all of them rotating! Despite the fact that today, when we talk about engines, almost always we think of alternating current motors, for many years, DC motors have had a very important role, because, in spite of its price, (due to their mechanical complexity and maintenance), they were certainly much easier to control than their ‘brothers’ of alternating current. Crear una empresa competitiva y rentable es el objetivo final de todo emprendedor. Para lograrlo no existe una fórmula o plan predefinido. Si bien es cierto que existen numerosos casos de éxito logrados a partir de diversas ideas, no es posible lograr el éxito sin factores como la creatividad, disciplina y eficiencia.